Hi there! 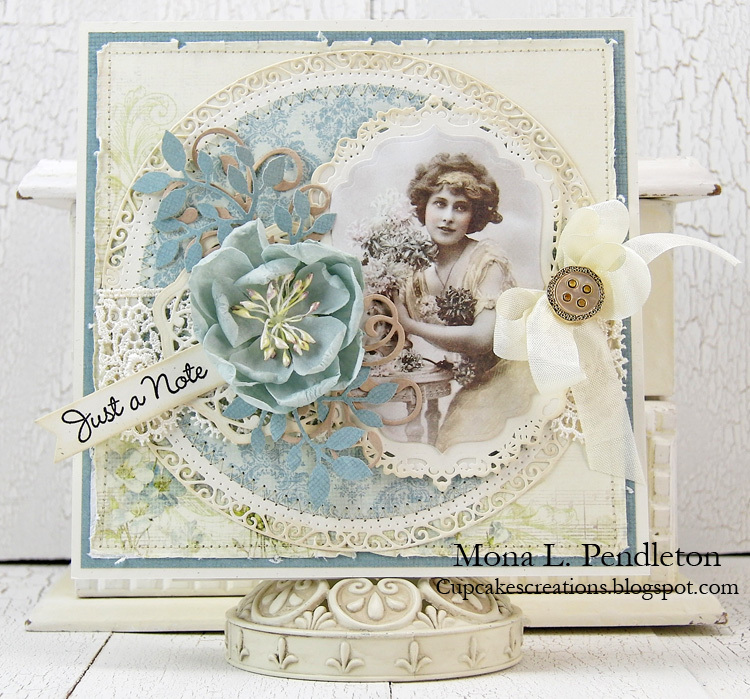 It’s Mona here with a card that I made featuring beautiful patterned papers from the Vintage Garden Collection. 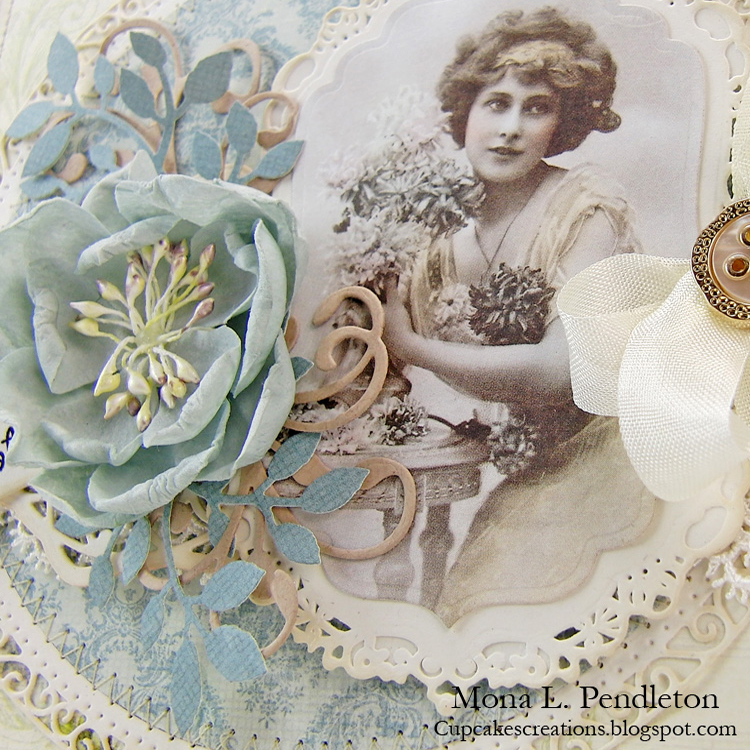 I die cut one of the many gorgeous images from From Grandma’s Attic – tinted – Bouquet paper.